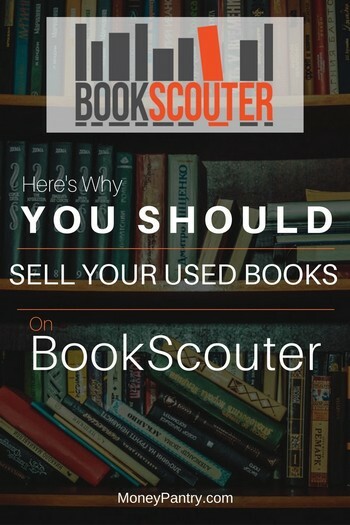 BookScouter Review: Why You Should Sell Your Books on This Site! BookScouter is one of the best places to sell used books for cash. Especially when it comes to text books. Let’s face it, after college textbooks are pretty useless. In fact, the only thing they’re good for is taking up space in your home! But, you don’t just want to throw them out – you probably paid a lot for your textbooks when you first bought them. So, why not sell them? Not only will you declutter your place, but, you’ll also earn some money. And, now it’s easier than ever to sell your stuff, and make sure that you get the best price for it. Online, there are tons of places where you can sell textbooks or any other kind of book, for cash. To make sure that you find the best price for your book, you should definitely use BookScouter. Here’s a quick overview of the BookScouter app and website and how you can use it to get the most out of your old books. While the internet has certainly opened up so many options for selling used books, you always want to ensure that the site you do decide to sell to offers you the best price. The easiest way to do this is with a service like BookScouter. It is a website that allows you to search for prices for a book at more than 42 buyback book vendors. On there, you can find places to sell both textbooks and regular books. So, if you’re a bit of a bookworm looking to thin out your shelves, then it is also useful. Okay, now you know what BookScouter is, you’re probably wondering how to use it. Well, you’ll be glad to know that it is really easy to use. It involves just a few simple steps. There is a common misconception that BookScouter actually buys books, like Cash4Books and Sell Back your Book does. But, this isn’t the case. It simply lists the prices for other vendors, and you then sell your book to those vendors. Just visit the website, and then enter your book’s ISBN into the search bar. You can search for books by title too, but it’s easier to find an exact match if you enter the ISBN. If you’re struggling to find the ISBN, make sure you check the front or back cover of your book or even the first or last few pages of it. Unless your book has an ISBN, you won’t be able to get a price for it through the site. So, that’s something to keep in mind. Generally, its books published pre 1970 that sometimes don’t have an ISBN. Handily enough, Bookscouter also has an app. It works in pretty much the same way as the desktop version does, except you can use your phone to scan the book’s barcode to get its ISBN. Or, you can type the ISBN in yourself. Once you’ve entered the ISBN for your book, and you hit enter, the site presents you with a list of buyback vendors that you can sell your title to. The prices are listed clearly alongside each vendor. What’s great about the platform is that it also gives each vendor a rating. The Vendor Rating is a rolling two-year average of users’ ratings. Once you decide which buyback place you want to sell to, click on the sell link that’s next to the vendor’s name. This will take you to that vendor’s website. You’ll need to ship your items to the website – make sure that you follow the instructions each site gives you. For most vendors, it’s free to ship your stuff. But, it’s always good to double check. 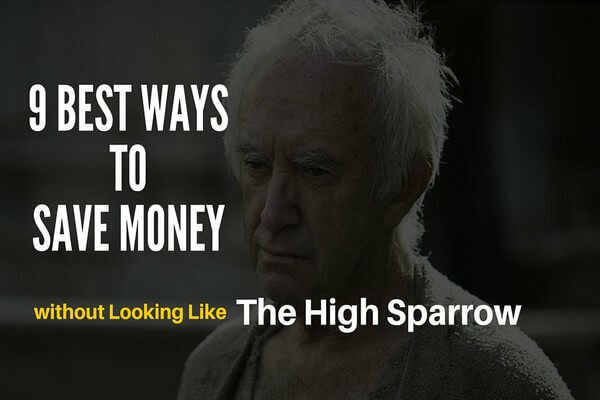 And, if your books are in the right condition, then you’ll get paid. How quickly you get paid and how you get paid varies from vendor to vendor. Generally speaking, most vendors issue payment within one to three days of receiving and checking your book. If you opt for a payment option like PayPal, then you’ll get paid much quicker than if you choose to get paid by check. In fact, if you opt to receive a check in the mail, then you usually have to wait an extra three to seven days to receive payment. How much can you make through BookScouter? Prices offered for used books do differ dramatically. One book might only get you a few bucks, but others, especially certain textbooks, can earn you quite a lot. In fact, it’s not uncommon to see offers for more that $50 to $160 for a book on there. You never know what a book could be worth, so it’s always worth doing a quick search for your title to get a good idea. Okay, so as we mentioned above, there’s a common misbelief that you make money selling your books to BookScouter. But, the site itself doesn’t buy your used books. It’s the third party vendors that the site features that do. What the site does is give you multiple prices for your title, all in one place. So, it is a great tool for making money from your used books, even if you don’t use it directly to sell your books. Here are a few tips that will help you to make the most money selling your books to the websites featured on BookScouter. If you want to make the most money selling your books, then you’ll definitely want to use BookScouter to ensure you get the best deal. Once you’ve searched for your book, take the time to have a thorough look through the results. Keep in mind that the site’s system doesn’t always put the vendor with the highest offer at the top of the results (although much of the time the best price is listed first). It also takes a vendor’s rating into account when ordering the results. So, take the time to have a scroll through the list. 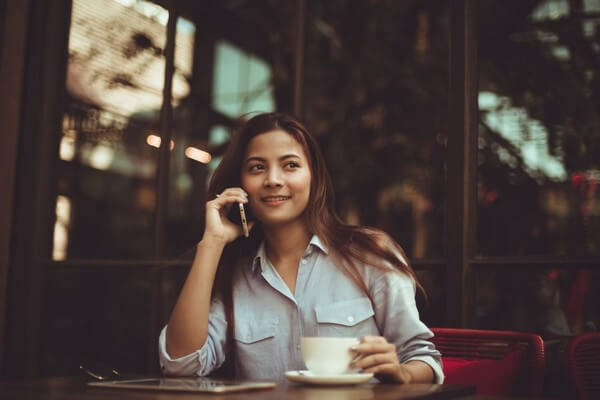 Aside from taking the price into consideration, the vendor’s rating is another important element that should certainly factor into your decision. Sure, a vendor that offers $30, rather than $25 is always going to be more appealing initially. But, if the one offering $25 has a 5 star rating, and the one offering $30 only has a 2 star rating, then it might be better to go with the lower offer. After all, if a seller has a low rating, it might mean that you will have issues, like waiting a long time for payment, or in some cases not getting paid at all. While BookScouter does list a customer rating alongside each vendor, you can’t seem to click on this to see the reviews. Instead, visit this page that lists vendors. Once there, you can click on the relevant retailer and read customer reviews. Sometimes when you sell a book can impact how much you get for it. Handily enough, BookScouter has a Historic Buyback Price Lookup tool. This allows you to view the price history of a book. Using it, you can see if there are any time periods where you might get a better price for your title. A little wear and tear is to be expected when it comes to used books. But, any more than that and it’s likely that a site will reject your book. Things like ripped pages and damaged covers generally aren’t acceptable. Most sites will have the rules for acceptance on their site, so have a look around for more details, before you ship anything. It’s definitely a worthwhile website. If you’ve got some old college textbooks lying around or old books that you don’t read anymore and you want to sell them it’s a really useful tool to have, for a number of reasons. 1. You get the best deal. There are tons of places to sell your used books online. But, prices offered for them can vary dramatically from vendor to vendor. At one site, you might only be offered $2 for a book that’s worth $10 to another website. So it’s definitely worth looking around if you want to get the most cash for books you sell. But, looking through multiple websites is time-consuming. With BookScouter, however, you don’t have this issue. You simply enter your book’s ISBN number, hit enter and you get a whole list of vendors that will buy it and how much each one offers. It saves you the time of manually searching through different websites to find the best deal. What’s also good about the website is that it doesn’t just show you the prices offered by each vendor, but also customer ratings. This is such a great tool to have. Some websites seem like they offer really great prices for books, but in reality, they take ages to pay, and may not even pay you at all. That’s why it’s such a good idea to have access to reviews. Again, this is another feature of the site that saves you time! Rather than having to search for vendor reviews, you can see them all in one place. For anyone looking to get rid of their old books, BookScouter really is an invaluable tool. You might be wondering whether BookScouter is a legitimate website. And, you’ll be glad to know that it is. It doesn’t try to push certain vendors on you. In fact, that ratings it offers aren’t set by the site, but by customers. So, you know that you can trust each vendor’s rating. Plus, the majority of BookScouter app reviews are positive. So, overall, it’s a safe, good, trustworthy website that makes selling used books a whole lot easier. As you can see from our BookScouter review,this is such a useful tool. If you’d like to make money selling your used books, then we highly recommend that you use the website. Visiting vendor websites one by one, entering your book’s ISBN on each one, and finding reviews for different places is such a time-consuming process. So, make things quicker and easier for yourself, and use BookScouter instead. In just one easy step, you get a list of vendors looking to buy your book, with the prices they’re offering clearly listed, and a customer rating to guide your decision too.